Salih Al-Busiri, an Egyptian imam of the 1200s, wrote a poem or qasida in praise of Prophet Muhammed (pbuh) and then was miraculously cured of his illness (sudden paralysis). Busiri reportedly requested the Prophet to intercede and beg Allah Almighty to cure him of his illness and the story says that Busiri was cured very soon. What is your opinion about such intercession via the Prophet? I know that the Quran expresses the concept of intercession on the Day of Judgement, but only those maybe allowed to intercede whose intercession Allah approves. And that too will happen only on the Day of Judgement. "and they cannot intercede except on behalf of one whom He approves. And they, from fear of Him, are apprehensive." (21:28). "Who is it that can intercede with Him except by His permission?" (2:255) From Ayat al-Kursi. So, can the story of al-Busiri be taken as something in accordance with Quranic injunctions or against it? There are also many Muslims - Sunnis & Shiias - among whom qasida al-burda is very popular. Is that appropriate? It's also said that al-Busiri wrote a portion of his poem on the Prophet's (pbuh) grave in Medinah which the Saudi regime removed in 1925. Of course that poem might have been harmless without the concept of intercession because the Saudi Wahabis have a habit of destroying everything thoughtlessly. Frankly I don't know the wordings of that poem. But personally I do not agree with this intercession stuff at all, whether it involves any of the Prophets or whoever. Our prayers must be directly to Allah. That's it. This is my opinion and I won't interfere with the views of others; that's between Allah and them. This is a revealing bit for me. Never knew anything about this topic before. Definitely Saleh Al-Busiri's thoughts on intercession are flatly wrong. How can a thoughtful submitter agree to such an idea? The theory lessens the entitlement of common human beings approaching Allah Almighty with their prayers; it amounts to presuming that a prayer through a deceased pious person will be more powerful than reaching out to Allah directly. For sure, that misconceived belief is tabooed according to Quranic tenets. Just for my information, I would like to know more on this story. Maybe Sisters Zeynab or Heba would have some details. I'm sure several of those brothers & sisters in my offline monthly discussion group will know and have lots to say. But I'm sure their interpretations and assessments will be compatible with traditional literature rather than the Quran. Yeah brother, I too never knew about it before. I read it briefly a few days ago in a email article sent by a friend on medieval Muslim poets. It mentioned a poet named Imam Salih Sharafudden al-Busiri, that he suffered a stroke & paralysis. In a depressed state of mind, he wrote a qasida on the Prophet pbuh, desiring intercession and then was miraculously cured. I haven't read the qasida so I know nothing about how it sounds. I also didn't get the time to do much research as last couple of days have been very busy at home. But I understood what that brief paragraph meant. So I put up the query here. Waiting for the opinion of the sisters. If I ask that friend who sent the email, I'm sure she too will have plenty to say but only in accordance with traditions in which I'm not interested. Right, I get your point. Insh'Allah, I'll be following this thread for more comments. Walaikum Salaam my dear sister and brother. In a nutshell, I couldn't agree with you more. Seeking intercession of the deceased, even if that person was a Prophet, is a thoroughly wrong approach to prayer. 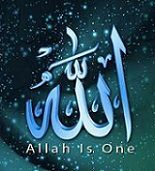 One of the most outstanding beauties of the Noble Quran is that everyone - king, prince,cobbler or beggar - is equally entitled to directly communicate with Allah and open up to Him about their problems, seeking his indispensable help everyone needs at all times. Moreover, as you stated, the concept of intercession in the Quran is restricted only for the Day of Judgement and that too with the strict approval of Allah. This means, only those Prophets or relatives/friends of humanity whom Allah views as worthy of pleading before Him for their loved ones. Even then, Allah gives NO guarantees in the Noble Quran that their requests and beseechment will be accepted unless Allah wills. Therefore, no matter how great our calamity in this world, we MUST approach Allah for help directly. We can ask others who are still living in this earthly world to also pray for us to Allah alone. That's a different matter and permissible. But seeking to approach a deceased person to speak to Allah on our behalf is a completely wrong ideology. It is these sorts of erroneous and ill-founded concepts which the pagans hold. I would also concur with the opinion you expressed about the Sauds. Their Wahabist ideology makes them raze everything. They have even randomly destroyed many masjids in Makkah and Medinah built in the early days of Islam. They've destroyed the homes of many great personalities of Islam who were the real contemporaries of the Prophet (pbuh); and they've also demolished the graves of all martyrs who achieved martyrdom in the defensive ghazwas fought during the Prophet's lifetime that were predominant is the success and establishment of Islam by the Grace and Permission of Allah. Frankly, I too know little or nothing about this qasida. Except for a few lines here & there, I haven't read the entire qasida. I also realize that some poetic praises can roll off the track and clash with the principles of Monotheism. In my opinion, if praise or qasida is appropriately worded in accordance with Quranic concepts, then I see nothing wrong if it's written on the Prophet's (pbuh) grave or anyone's grave for that matter. But I don't know if those lines of the qasida written on the Prophet's (pbuh) grave did or didn't contain contents of intercession. In case the quoted excerpt was unbefitting, then I completely agree to its immediate removal. Salam .. I pray all of you are fine by the Grace and infinite Mercy of The Almighty. Absolutely agree that Intercession is surely Haram, whether one invokes any of the Prophets or whoever. I've studied this story enough to know what it's about but haven't mulled over much as that really isn't necessary. Poem of the Mantle by Al-Busiri is popular with Sunni Muslims. Maybe with Shiias too, but not sure. I read bits of the translation some time back but didn't save it. The story says that al-Busiri suddenly got a stroke after which half his body was paralyzed. He then decided to compose this poem in praise of the Prophet pbuh. He also supplicated to the Prophet requesting him to intercede and beg Allah Almighty to cure al-Busiri. One night when he fell asleep, he had a dream in which he saw the Prophet pbuh covering the poet with his (the Prophet's) burda or mantle. When al-Busiri woke up the next morning, he found he was able to walk. But he never shared this experience with anyone. Only Allah knows how far this story is true. Al-Busiri's Qasida al-Burda sprouts from the poem of Kab al-Zubair, reportedly a poet and a contemporary of the Prophet pbuh. According to traditional contents, Kab al-Zubair had composed a qasida in praise of the Prophet pbuh in high-flown Arabic which he read in front of the Prophet pbuh and the Prophet pbuh was so moved that he removed his burda and wrapped it around al-Zubair. This is said to be the original qasida named "Banat Suad." But al-Busiri's qasida happens to be more popular and famous than the one by Kab al-Zubair, supposedly because the former wrote it in simpler Arabic. First off, the Prophet pbuh was not looking for praises and sugary words from people or poets to get so impressed by Kab al-Zubair that he would place his mantle on him. Neither is this story recorded anywhere in history. Secondly, this incident of al-Zubair's poem is preceded by another incident that claims that one day Kab al-Zubair and his brother Buzair decided to go to the Prophet pbuh to accept Islam. But on the way, Kab changed his mind while Buzair went ahead with his decision to embrace Islam. Kab then supposedly composed a satirical poem on his brother and the Prophet pbuh making fun of both of them at which, the Prophet pbuh ordered to punish Kab. Then Buzair advised Kab to apologize to the Prophet to which Kab eventually agreed, went to the Prophet, embraced Islam and composed "Banat Saud." As you can see, this story is quite a pure lie, not even an impure lie but a pure one. During the lifetime of the Prophet pbuh, the wave of animosity and harassment he received and quietly bore was so unlimited that comparatively some crazy non-Muslim poet writing a satire on him was something the Prophet pbuh would never even think about for a moment, let alone punishing the poet. This mindset is typical of the hadiths that uphold punishment for those who ridicule. The Quran has not imposed any punishments for slanderers except to stay away from them. Consequently the Prophet never declared any punishment for such folks. To wrap it up, intercessions are thoroughly unlawful and completely unwarranted by the Quran. This story is just one of those traditional things that needs to be ignored. As Sister Zeynab said, if a qasida is suitably worded with Halal concepts or allusions WITHOUT any absurd aggrandizements then it maybe okay to write on someone's grave. But I don't know which portion of the qasida was written on the Prophet's grave. Anyhow, whichever portion it was, erasing just those few lines isn't a big deal compared to the fact that the Sauds have destroyed our entire Islamic heritage & history and replaced all that with modernization. That is what I find tragic, infuriating, unethical and highly disrespectful. P.S. Sister Zeynab, if you can find the translation do put it up so readers can know what it is. I'll try to find it too. Thank you for the explanatory input Sister Heba. You certainly have much more info than me. In regard to the English translation, Wikipedia says qasida-al-burda has several chapters but hasn't posted any. Wiki also says that Timothy Winter, who is a British revert, has translated this qasida. But I haven't found nor read that either. Some time ago I found the translation at Siasat Forum (I suppose a Pakistani forum). Author of this translation is some writer attached to the South African Islamic center named Khanqah-e-Sheikh-Zakarya. 1. Is it because of your remembrance of the neighbours of Dhi-salam. 2. That tears mixed with blood are flowing (from your eyes). 3. Or is it because of the breeze blowing from Kaazimah. 5. What has happened to your eyes, (the more) you tell them to stop, the more they continue flowing. 6. What is the matter with your heart, (the more) you tell it to come to its senses, (the more it is distracted). 7. Does the lover think that his love can be concealed. 8. While his eyes are shedding tears and his heart is glowing. 9. Had it not been for the love, you would not have shed tears at the ruins (of your beloved). 10. Nor would you become restless at the remembrance of the cypress (tree) the high mountain. 11. How do you deny love after the testimony? 12. Borne against you by (such) reliable witnesses as yours and your illness. 13. Love has ingrained two lines of fear, and withered your face. 14. On your cheeks like yellow rose and the reddish tree. 15. Yes! Thoughts of the beloved came to me at night and kept me awake. 16. And love transforms pleasure into pain. 17. O you who reproach me, regarding my love, excuse me. 18. From me to you if you do justice, you would not reproach me. 19. My state (of love) has been expressed to you, (now) my secret is no longer concealed. 20. From those who malign (me), nor is there (something to) check my agony. 21. You have sincerely advised me , I did not heed it. 22. For verily a lover is deaf to those who advise him. 23. I regarded with suspicion the advice of the elders in reproaching me. 24. (Wisdom) in the advice of the elders is above suspicion. 1. Verily my soul which is laden evil did not heed the advice. 2. Due to its ignorance, from the warning by grey hair and old age. 4. For a guest (that) has lodged on (my) head nor did I honour (him). 5. Had I known that I would not be able to honour him (it). 6. I would have concealed my secret, which is exposed, by dyeing. 7. Who is there that can restrain my wayward-self from its waywardness. 8. Just as unmanageable horses are restrained by resins. 9. Do not try, through sinning, to subdue sensual desires. 10. For verily food, only increases sensual desires. 11. Your self (desires) is like when breastfed. 12. Loves suckling but when you wean it, will stop. 13. Then stop its inclinations and beware that it does not overpower you. 14. Verily lust whenever it overpowers (it will) kill or maim (your character). 16. If it enjoys pasture, do not let it roam (graze) freely. 17. How often has pleasure been considered good, whereas it turned out to be deadly. 18. Because he does not know that there is poison in the fat. 19. And fear the evil of (both) hunger and satiation. 20. For most times hunger (poverty) is more evil that overeating. 21. And shed tears from those eyes which have become full. 22. Of forbidden sights and regard it as obligatory (upon yourself) to guard your eyes from forbidden things. 23. And oppose (your) self (nafs) and shaytaan and disobey them both. 24. And if both of them give you sincere advice regard it as lies. 25. And do not obey them both (nafs and shaytaan) as an enemy or as a wise (person). 26. For you know well the deception of (such) an enemy or a wise (person). 27. I seek forgiveness from Allah from such sayings (preachings) which I do practice upon. 28. For verily I have attributed (claimed), through this, offspring from a barren woman. 29. I command you to do good but I do not command myself to do the same. 30. And I was not steadfast (on deen) so then of what use (value) is my saying to you: "Be steadfast!" (on deen). 31. And I made no provisions before death of voluntary (nafl) worship. To be honest, I'm not overly impressed. Too much hyperbole .... unless it's a very poor translation which hasn't been able to convey the theme articulately. A bundle of thanks dear Sis. Read it, start to finish. You're right. It's typical poetry with over-estimations as well as scattered contradictions. I guess the translation would be okay. The problem is simply the dictim in the field of poetry - the aspect of magnification - without which poets feel they aren't intellectual enough nor do their audience. In the world of poets and their writings, embroidered dramatization is far more alluring and thus more important than the truth. Big thanks to sisters Heba and Zeynab for educating me on this; also muchas gracias sister Ruhi for bringing up the topic. I would like to take this up in our discussion sessions but I know most others will support tradition and the room will be buzzing with arguments. Right brother, no point discussing it with traditionalists. Nor will 'modernists' grasp the point as their approach to the Quran is based on their own convenience. Absolutely clear Allah bless you dear Sisters Zeyna & Heb for sparing your time to explain.